Dentistry is a unique blend of art and science. In order to produce aesthetically pleasing results, a dentist must have a keen sense of what looks good and what must be done to achieve these results. Dr. Kachorek displayed a talent for art early on in life. In addition to his artistic abilities, he was also a hardworking child with a propensity towards achieving his goals. In high school, he discovered his love for biology. A natural combination of his artistic aptitude and scientific interest was dentistry. Earning his bachelor’s degree in biology and then continuing on to dental school at the University of Detroit, Dr. Kachorek dedicated himself to his studies. After a 6 month associateship, he opened his own practice in 1984. 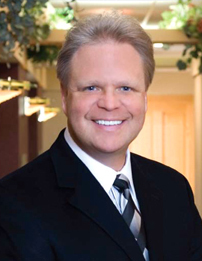 Dr. Kachorek is a member of the American Dental Association, the Michigan Dental Association, and the American Academy of Cosmetic Dentistry. He is an advocate of continuing education to maintain the standards of excellence in his field. He is currently working towards his Masters in the Academy of General Dentistry. This is an accreditation earned by less than 1% of dentists nationwide.